Air Serv International Donates Aircraft for Ebola Response - Africair, Inc.
Entebbe, Uganda. Air Serv International has donated the use of one of its airplanes to assist Medecins Sans Frontieres (MSF) in responding to an outbreak of Ebola in the Democratic Republic of the Congo. Logistical and transport costs are most often factored into program budgets for individual organizations and supplemented by funding from Air Serv International, grants, and private donors. Air Serv, as a humanitarian organization, collaborates with partner humanitarian organizations and when possible, donates services, personnel, and equipment. This is especially true in the case of an immediate emergency response. Ebola, already a highly contagious disease, can have disastrous effects in developing countries where healthcare might already be minimal. In an effort to assist in the response and containment of the disease, Air Serv International has extended an offer to MSF for the use of a C208B-Caravan including crew, an engineer, a base manager, positioning of the aircraft to and from the site, and sixty hours of flight time at no cost. Ebola response must be rapid and extremely coordinated due to its infectious nature and accompanying risks posed to first responders. Air Serv and MSF are currently in discussion regarding dates and locations where the aircraft can be best utilized. 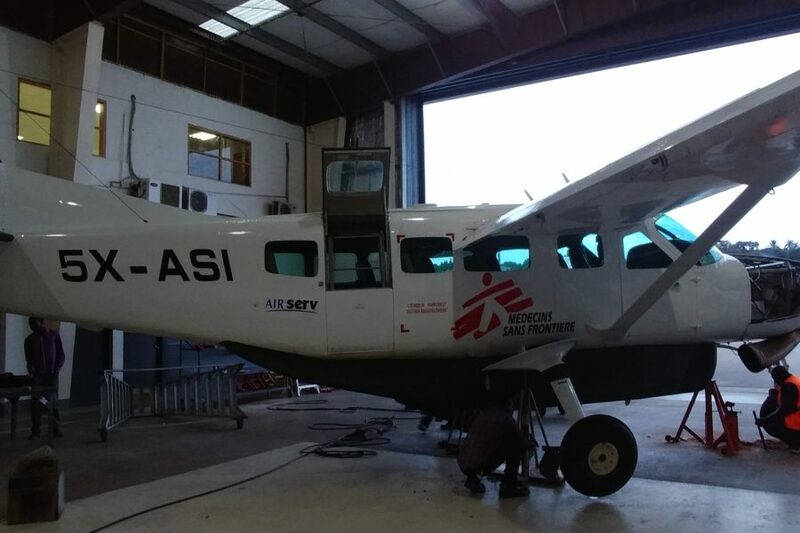 The aircraft is expected to depart Entebbe for Kinshasa on Thursday, May 17, where it will pick up medical cargo and MSF emergency medical response staff. From there, the aircraft will proceed to Mbandaka, the main Ebola response base. Air Serv is requesting donations and pledges toward the Ebola response programs to reduce the cost to humanitarian partners for critically needed transport services. Donor-supplemented programs will permit organizations to focus the bulk of their budgets where they are most valuable, providing healthcare, shelter, food, and sanitation. Donations can be made through the Air Serv website. 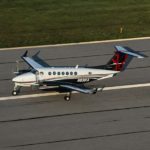 With a fleet of six Cessna Caravans, Air Serv specializes in “last mile” air transportation in support of humanitarian programs. 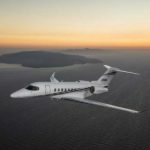 In addition to charter, facilities, maintenance, and consulting services, Air Serv International is dedicated to providing response capabilities for organizations operating in disaster areas. For more information, visit www.airserv.org.